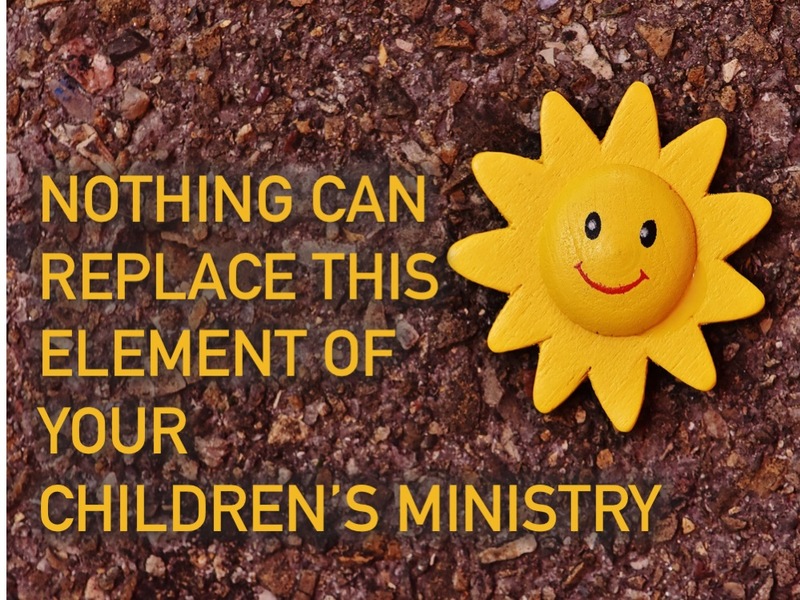 There's a part of your children's ministry that is critical to its success. Nothing can take it's place. You can switch curriculum, change up your music, start doing different programs and even move to a different location. But without VOLUNTEERS, there is no children's ministry. Did you know there are more than 80,000 educational apps in the Apple store? There are abundant resources for kids to learn. But...there was an interesting study done. 2 & 3-year-olds were given puzzle apps to solve on a tablet. Some of the kids were given a demonstration of how to solve the puzzle by the app itself. In other words, the pieces moved by themselves on the tablet to show how it works. Other kids had a person sitting next to them who showed them how to move the puzzle pieces on the tablet. The kids who had the human guide did remarkably better than the kids who only had the app as a guide. Yes, kids can learn from technology and do. But...this can't replace the value of a real, live person sitting next to them and helping them. Kids learn best from a human. Using technology in children's ministry is good and important...but never let it take the place of human volunteers sitting with the kids and teaching them. You see, discipleship happens through relationship. Face-to-face. Kids grow in their faith when they have a caring volunteer who personally knows them and invests in their life. No screen can replace them. Think about it. You are where you are spiritually because, somewhere back there, someone got involved in your life. Does our budget reflect the importance of volunteers? Does how I spend my time reflect the importance of volunteers? Do I show my volunteers how important they are on a weekly basis? Do we have enough volunteers? How can we add more volunteers to the team? Volunteers are the most important element of your children's ministry. Nothing can replace them. Value them. Invest in them. Care for them. Encourage them. Remind them of how critical they are.